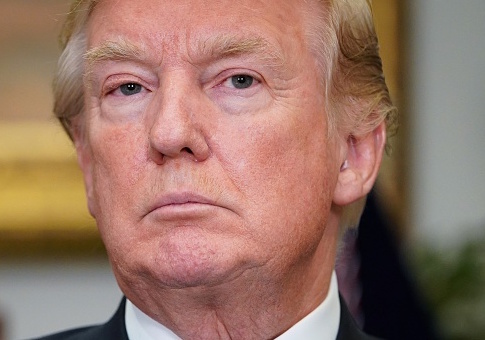 President Donald Trump is opposed to a major criminal justice reform in its current form, in large part due to an exception it carves out that may release convicted drug traffickers early, sources told the Washington Free Beacon on Friday. Advocates of reform have scrambled over the past 24 hours in the wake of Trump's decision not to back the bill, which is unpopular with the Senate Republican caucus. As the news that Trump would not support the FIRST STEP Act broke, bill-backer Jared Kushner and Senate ally Chuck Grassley (R., Iowa) retreated to Grassley's private office on Capitol Hill. From there, reporters heard that Trump had contacted the two, saying that he was "willing to take up prison/sentencing reform" after the election. Such a position is not surprising, given Trump's longstanding commitment to the issue. However, it prompted the perception among some in the press that FIRST STEP is merely on hold until December, after which it will still sail through with the votes of Senate Democrats and a handful of pro-reform Republicans. Axios, for example, ran a story claiming that Senate Majority Leader Mitch McConnell (R., Ky.) had committed "to moving forward on criminal justice bill after midterms." Yet its quotes from a Sen. McConnell spokesperson were far more restrained than that might insinuate: The spokesperson explicitly said a commitment to a vote had not been made, and only a whip count will happen after the election. That whip count will be primarily of the Republican Senate conference—not the whole Senate. McConnell is famously skittish about dividing his caucus, and so is still unlikely to bring a bill to the floor if it does not have Republican caucus support. Trump's backing—once held out, and now withdrawn—would almost certainly be vital to getting more Republicans on board. Trump's concerns with the bill are more than just political, several sources have told the Free Beacon. These first came up during a Thursday morning meeting between Trump and a number of Senate Republicans on a banking sanctions bill, a Senate source close to negotiations said. Trump and the group spent the final ten minutes of the meeting "trashing" the bill, with Trump explicitly saying that he would never support a bill that lets fentanyl traffickers go free. Similar concerns arose in the following meeting, in which Trump told Kushner and Attorney General Jeff Sessions that he was a no go on FIRST STEP. Sessions and Trump agreed that reduced sentences for drug traffickers was not the way to go, a senior administration official familiar with the meeting told the Free Beacon. In fact, the two men concluded that Congress should consider strengthening trafficking sentences, especially for fentanyl dealers, up to and including the death penalty. That leniency for drug traffickers is a sticking point for Trump is no surprise. Drug overdose deaths, especially from fentanyl, have spiked over the past several years. This has prompted harsh rhetoric and some action from the White House, especially from the Department of Justice. The FIRST STEP act works by instituting a new system of "good time" credits, which would reduce the sentences of a number of federal criminals, freeing some 4,000 upon passage. Many violent offenders are excluded from access to these reductions. But drug traffickers are not, a key criticism of the bill made by the Department of Justice in a memo obtained by the Free Beacon last month. It remains unclear if enhanced sentences for drug dealers would sway Trump back to supporting the bill, or if such a proposal would get the support of both Democrats and Republicans. However, unless some change is made, Trump seems unlikely to support the bill going forward. This entry was posted in Issues and tagged Donald Trump, Prison, Prison Reform. Bookmark the permalink.